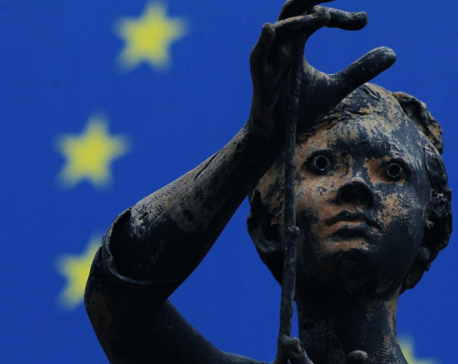 KATHMANDU, August 16: The European Union (EU) and the United Nations Development Program (UNDP) have announced to provide an additional 1.6 million euros grant as part of their electoral assistance to Nepal to reinforce their cooperation with the Election Commission of Nepal. 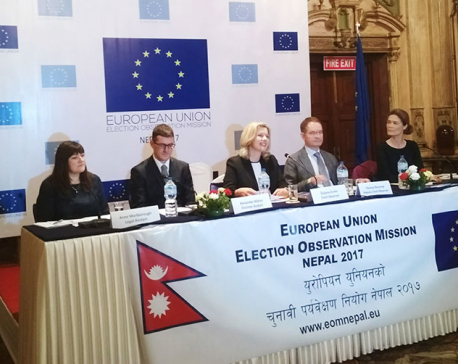 The grant will be used to provide needful electoral assistance to the EC through the UNDP-managed Electoral Support Project (ESP), according to a press statement issued jointly by UNDP and EU Office in Kathmandu on Wednesday. EU Ambassador to Nepal Ms RensjeTeerink and the country director of UNDP in Nepal Renaud Meyer signed the agreement to this effect with the Election Commission on Wednesday. The European Union had previously provided financial assistance of 8.4 million euro for this project in 2012. This contribution is part of the basket fund of US$ 27.8 million, created to support the Election Commission through ESP. Other development partners of the fund are Denmark, Norway, UK Aid and UNDP, according to the statement. “The European Union is pleased to extend this additional support just as Nepal is poised to hold a series of elections in the coming months,” the statement quoted Ambassador Teerink as saying. Speaking on the occasion, Meyer said UNDP is pleased to partner with the EU in providing electoral assistance to Nepal. "The EU has been generously supporting the process since the 2008 Constituent Assembly elections and this has helped strengthen the capacity of the Election Commission to organize free, fair and credible elections,” the statement quoted Meyer as saying. Mahendra Bhattarai from the Election Commission said the support through ESP had helped them in strengthening the electoral process and conducting inclusive and credible elections.